Dutch Design Desk Europe. | DDX.DDX. 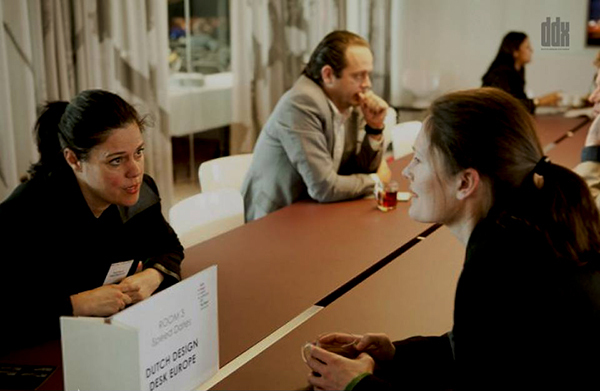 Initially, ’Dutch Design Exchange’ was set up in 2012 as ‘Dutch Design Desk Europe’ (DDDE) in order to help Dutch businesses within the ‘Creative Industry’ to work across the national borders in Europe. The foundation was set up by Dutch DFA and the Province of Limburg. for Branch Organizations, the Chambers of Commerce and the Dutch Consulates in Germany. All these activities have been showing that DDDE is not just a help desk but rather a promoter for international exchange in the field of design. That is why, after two years of practice, ‘Dutch Design Desk Europe’ changed its the name into ‘Dutch Design Exchange’ (DDX).